Purchase just the HDPE cylinder plastic bottles wholesale (bulk) for the best price. 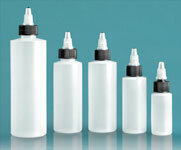 Select 'Add-Ons' to find the compatible cap that best fits your products needs. *Note: item 00560160.01S has been replaced by 00560160.04S. 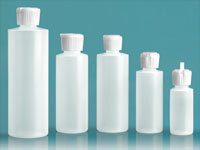 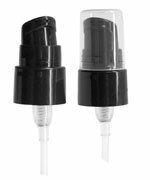 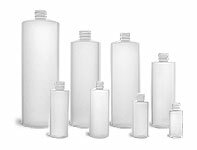 The natural HDPE cylinder bottles come topped with yorker tips great for dispensing many products. 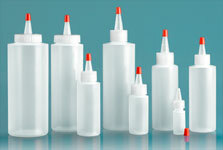 Some common uses are inks, glues, paints, and condiments. 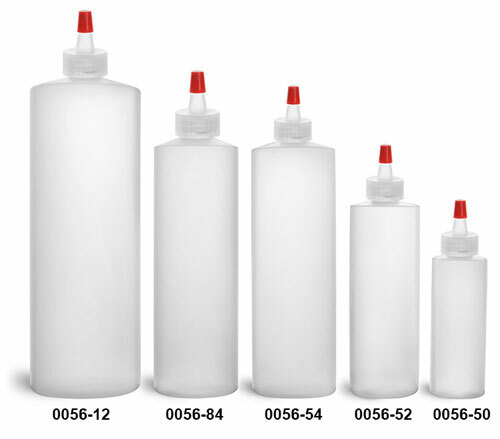 The natural LDPE long tip caps have a .030 hole and are topped with a red tip for reusing.